I'd been searching for an image to crystallize the emptiness of a certain kind of person one meets in New York. 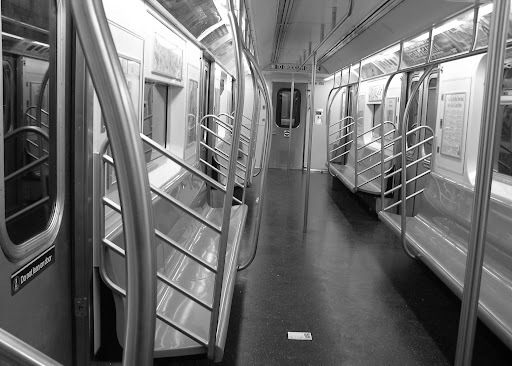 This one simultaneously represents the loneliness one can feel in spite of being crowded together with a few million people, half a million of whom were just crammed inside that subway car with you. I was going to a temp job downtown, an area as foreign to me as the Upper East Side. As I stepped out off the train, I turned around and saw this rare sight. The car would normally have filled up while emptying, but that particular morning, that train was going out of service at that stop.